Utah Soccer Alliance needs your support! Come with the whole family! The South Jordan Community Theatre Group has some new plays coming up this summer that I wanted to let you know about. Please try to get out this summer and take your friends or family out for a fun night and enjoy one of these great plays brought to you by the South Jordan Community Theatre Group. Hyper-Local media news poll...your votes wanted!!! Â Â Â Â Â As many of you already know, I have met with and talked to the team over at www.oursouthvalley.com and have agreed to team up with them on bringing news and awareness to the residents not only in Daybreak, but the entire South Valley. Although both websites will still operate independently, we are working on a game plan to aggressively promote hyper-local media newsÂ that effects us ALL here in the South Valley, which as we all knowÂ rarely gets covered by the mainstream media. Daybreak North Shore Village ~ Zip Line Park!!! 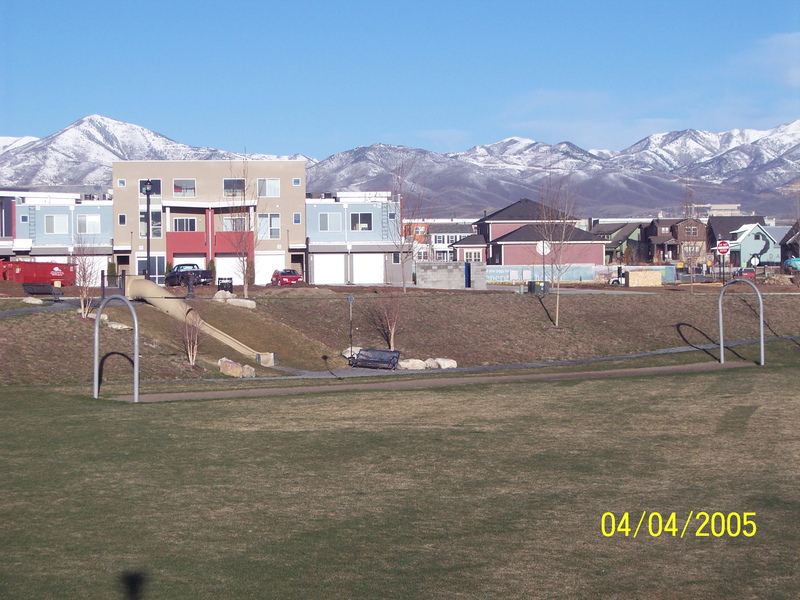 Â Â Almost a year ago, as North Shore Village was starting to grow and more and more homes started to be built, Kennecott land put in a little pocket park at the corner of Clarks Hill Drive & Willoughby Drive. And to everyoneâ€™s surprise a real Zip Line play structure was installed. Now I am not talking about a 10 foot zip line, but a real 150 foot zip line which adults and kids can all use (see pics ~ sorry about the timestamp on two of the pics)!!! Concrete curbing issues in Daybreak's Eastlake or North Shore Villages?